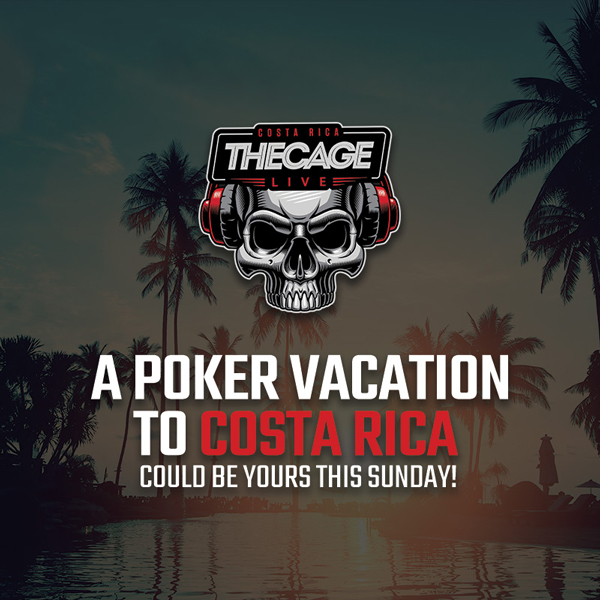 Hit the road for Americas Cardroom’s Cage Live! You love to play online poker, but everyone likes to hit the road every so often. That’s why we want to tell you about the Cage Live at Americas Cardroom. The Cage Live is a 2-day cash game in tourney format. It takes place every other month at the beautiful Taormina Hotel and Casino in San Jose, Costa Rica. This is a great opportunity to win a pile of cash (see recent winners below), but it’s also a great chance for a party weekend. It starts with an office tour at Americas Cardroom for a sneak-peak at their operations. There’s also dinner with the ACR staff and several other chances to really let loose and party. The next Cage Live starts March 29th, one of five left for this year. And you can win one of two guaranteed packages (an $8,340 value each) every Sunday night at 6pm ET in the $55 Beast and Sit & Crush Cage Live Satellite. Each package includes the buy-in, airfare, spending cash and hotel. *The $5 Million Venom tournament is coming to Americas Cardroom and it has a $1 Million first-place prize (download the poker client for the date). You can win your $2,650 seat for free via their Step Tournaments. Rounders.org poker site has a completely informative character and provides you with the best poker deals on the internet. You can not play poker on it and we do not offer paid services. We do not prompt you to play poker and we must let you know that the gambling can affect you negatively and lead to significant financial losses. Before you take advantage of our deals on poker sites, make sure that the laws of the region in which you are is not treating the poker as an infringement.